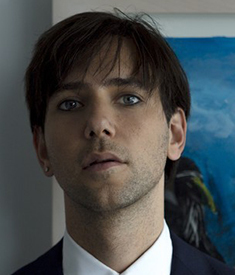 Based in Montreal, Tiga is a DJ/producer who has effectively worked the underground and the mainstream with his wry brand of campy electro and stark techno. Born in Montreal, Canada, Tiga's first exposure to his future came from touring the Goa area of India with his DJ father throughout the '80s. Following in his father's footsteps, Tiga began spinning in Montreal's cooler clubs in the early '90s, bringing the acid house sound to Canada. Seeing as how there weren't any events like the Goa parties he had attended, the DJ made his own and later was credited with throwing Canada's first proper rave. He started his Turbo Recordings as an outlet for his wildman organ escapades but he soon found a host of other artists who were willing to be paid to record for him. All Rights Reserved. All other trademarks are the property of their respective owners and are used with their permission.